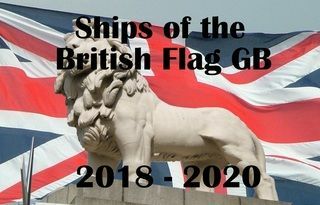 Ships of the British Flag GB. 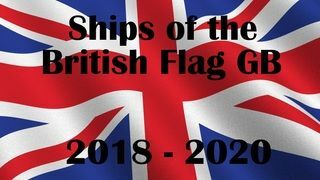 Since I felt the UK ships need their time in the sun, this group build is for ships of the British Flag. After all, the British have given us so many great technical ideas. RADAR, Asdic (Sonar), Centrifugal flow jet engine, Etc. 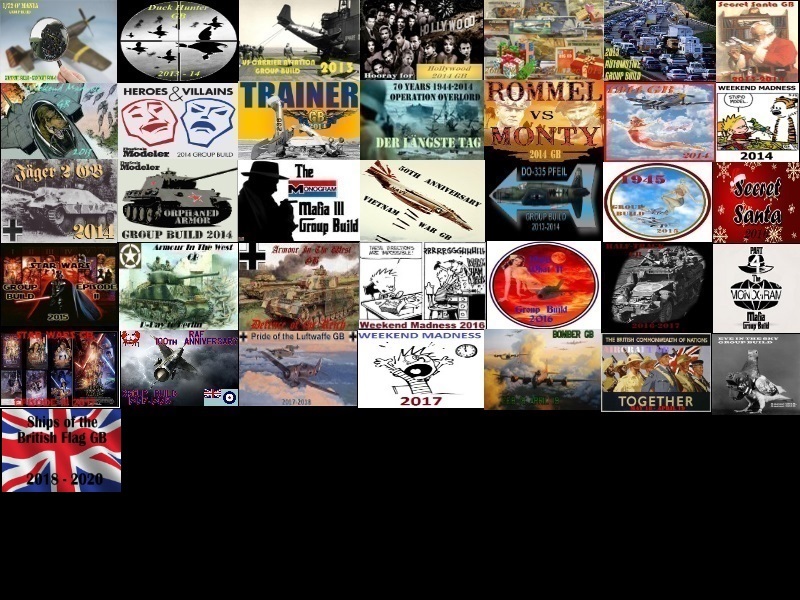 Any ship, boat, sub, any era, any scale, plastic or wood, which means warship, patrol boat, merchant, ocean liner, submarine, even a what if Dunkirk civil rescue craft will work. This also means sail, both warship or otherwise. The Mayflower, Beagle, Cutty Sark, Discovery, Etc. The RMS Titanic, RMS Olympic, M.V. Oriana, RMS Lusitania, RMS Mauretania, you get the idea. 1. 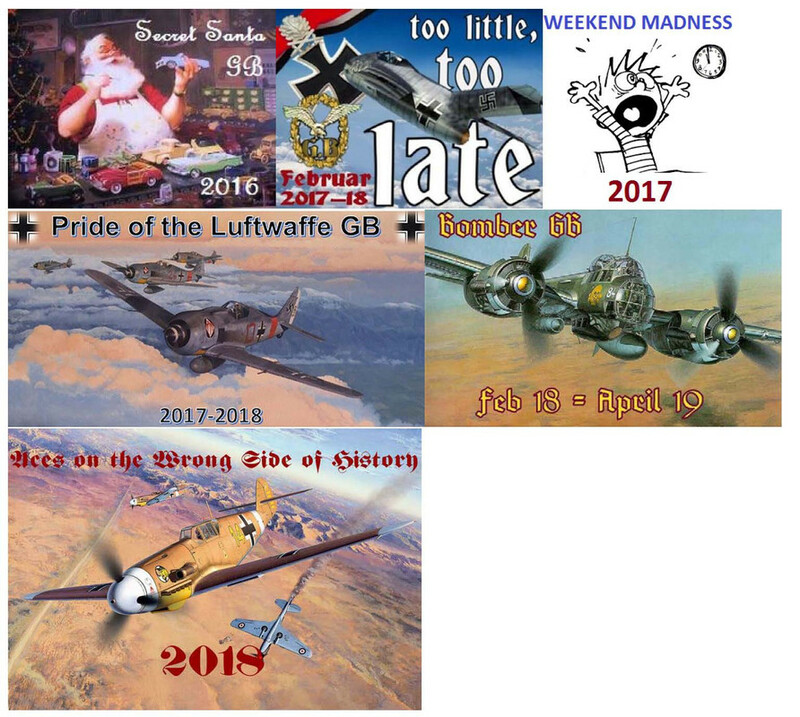 The GB will last 2 years from 1 Aug 2018 to 1 Aug 2020. It’s a long running group build since larger kits can take a while. This may extend if there is enough interest and members need more time. 2. Must have been under the British flag as some point during its lifetime, including war prizes. I.E. Z-39 prior to her handoff to the US, Prinz Eugen, again, prior to her being transferred to the US, U-110, French 20-gun Romaine class frigate Etc. 3. Any era, any classification, any scale. 4. OOB, AM, PE and scratching are all just fine. 5. Partially started (glue bombs ) are fine. 8. And of course, have fun. 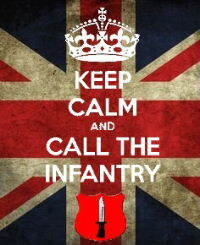 "The British Army should be a projectile fired by the British Navy"
Tanker-Builder: M.V.Oriana / Canberra / Lion?? 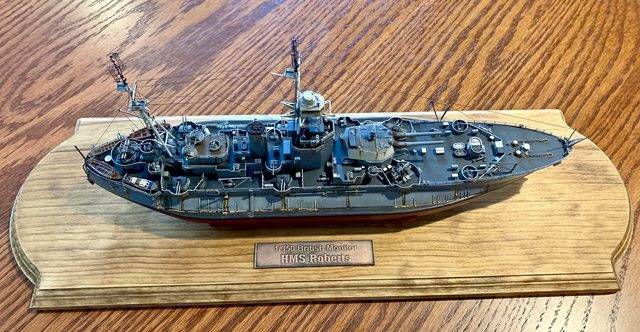 DRUMS01: Trumpeter 1/350 HMS Roberts Monitor. Here's my entry. 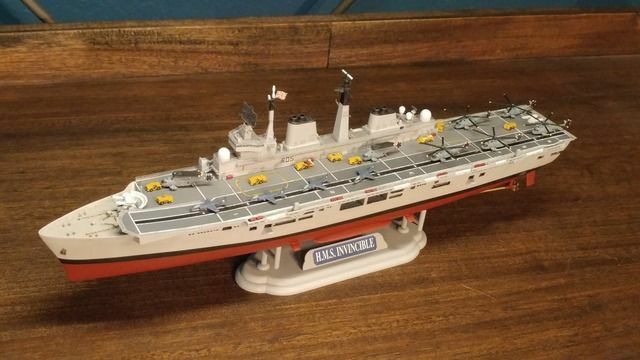 Cyber Hobby 1/700 HMS Invincible. I've only built one other ship in my life so I'm not filled with confidence but it'll be a good challenge. It only comes with 4 Sea Harriers and 2 Sea Kings. I'm not able to find any 1/700 Sea Harriers. Anybody have any ideas? Also no deck vehicles. I'm going to have to do some research. Looking forward to this one Steve, it will be nice to do some floaty things and finally get the belfast from under the pile of dust on top of it. I better pick up that Trafalgar now. Steve, this is going to be one cool GB! My first ship! I'm liking this! Will let you know what I'm building...as soon as I get it. LOL! Griffin, really looking forward to seeing that. White Ensign have some 1/700 Sea harriers, but they are currently out of stock. Might be worth keeping an eye on. Shapeways does a set of 12. Starling models, also UK based, have a set of 4 along with a deck tractor by Orange Hobby. I haven’t built ships since 76 . I will give it a shot with Revells North Sea fishing trawler (just ordered it btw) I built this same kit in the 70’s and it was called the Russian spy trawler different times. Steve - I'm in with the Airfix 1/350 HMS Illustrious ski jump carrier. Was a partial start from the previous owner, maybe 2%. Got 2 of the things in a model club sale. One has the WE pe set, but don't know if I want to go that route yet. Won't get started till winter this year, got a move coming as well as a full load of unfinished projects. Should be a good GB with more things not often seen. Thanks for running this GB, Steve! EDIT: TB, if you would like help with loading pictures to FSM, send me a PM, I'll help you out. I updated the roster, thank you everybody for joining in. Nick, GH, welcome aboard! It's good to have you guys in the crew. LOL, I know a lot of folks have ships in their stash, hopefully this will get a few kits out of obscurity and onto the shelf. Bish, thanks for the info. You're always good for info and ideas. I'm looking forward to that Belfast. Griffin, that should be a nice build. Moderns are good kits are realtively easy since the superstructures and huls are so sleek, and they are usually painted in one or two colors only. Oops sorry, British GB, British spelling, COLOURS. Eagle, I'm curious to see what you choose. Ships aren't difficult, just diffrent. GM, That Illustrious is going to be great. Bruce, every time I see that box I kick myself for selling the POW. Looking forward to it. I hope I didn't miss anybody. I almost bought that one too for this GB! I’m looking forward to seeing yours! I've built the Trafalgar Bish, it's nice. Steve, line me up for an....ummmm...Cyber Hobby 1/700 HMS Antelope. It will sit next to my already completed Sheffield. 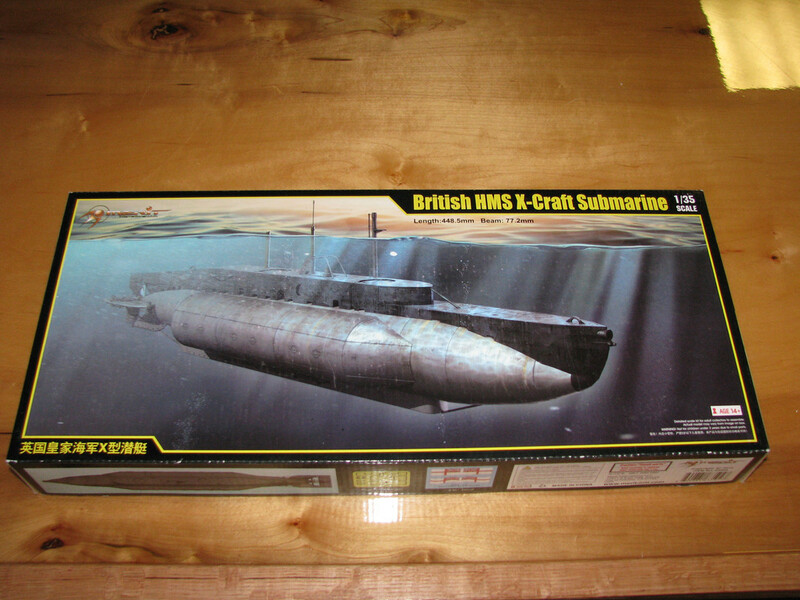 I feel that I should build this one as I junked my Airfix HMS Amazon when they released this kit. I'm just taking it one GB at a time. That looks like a good one Tony. I'll have to rember it for Bish's Falkland's War GB when it comes. I loved the 30th anniversary one a few years ago. Cheers for the heads up on the Trafalgar Tony. And yes, i'll be running a 40th anniversary GB for the falklands campaign. But of course that won't be for a few more years yet. I keep looking for a 350 model of a ship from the campaign, but i might have to settle for a 700 one, seems to be a few of those around. 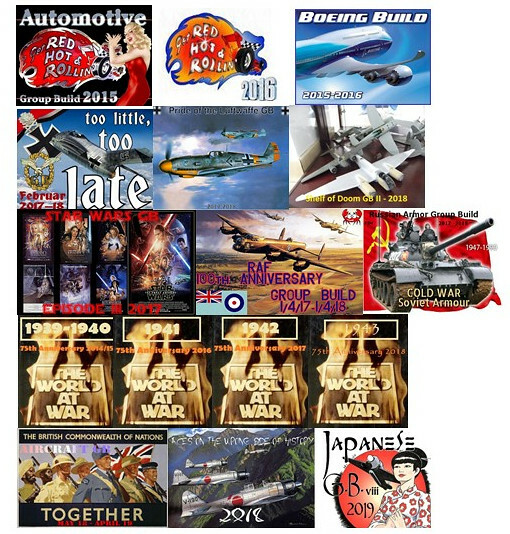 I think I am going to go with a pre Falklands color scheme for the Invincible and the aircraft. Something like these examples. It needs a little contrast and a bit of color. When it went to the Falklands it was looking quite dull especially the Harriers. They repainted them dark grey. I like the blue on white. I don't want Bish to be too hard on me for lack of realism however. I'm still mulling it over. Yeah, all dark grey including the AC, while it may be good at camo it's boring. One of the reasons I don't want to builb a late war USS Texas. All dark grey and bla. Here is my entry for this awesome GB and thanks Steve for hosting it. That looks good Steve. I have you on the roster, thanks for joining in. Griffin, i know what you mean. I have the Airfix harrier FRS 1 and it doesn look nicer in the pre war scheme. I built a Harrier FRS.1 in Falklands guise, overall EDSG. It's not that attractive on the shelf. Next time my Harrier fetish kits in, it will be brighter. I think you're on the right track. 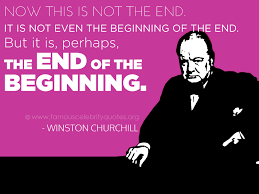 Ok friends, I can’t sit on the sidelines any longer! I’m in with the German Zerstorer Class Z-25. She was captured in May of 45 and spent the rest of the war/year under British control. Sounds perfect Chad. that'll work my friend. Welcome aboard. Is that the Trumpy 1/700 kit? 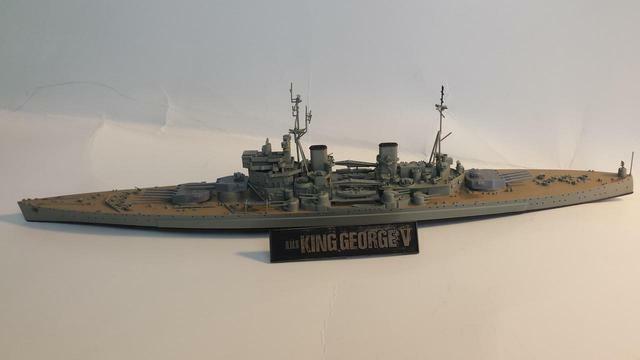 Thought I might mention here that I went to a swap meet today and bought a 1/700 Tamiya King George V. I guess its another possibility. I know that kit well. Gold Metal Models or Tom's I think make a pretty nice PE set for it. 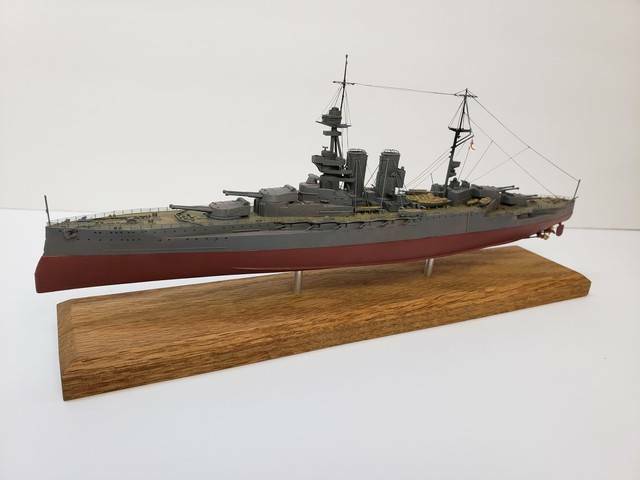 I was looking to get a 1/350 KGV class in a couple weeks, don't know which one yet though. For some reason I kinda like that boxy ship. I agree, just something about KGV class that I like. And I wish someone would tool a 1/350 Rodney/Nelson. Also, What was the color scheme of the Harriers on the KGV class battleships? And were they Gr.1's or 3's? I managed to buy a Tom's P/E set for it on ebay quite cheap a couple of weeks back, then the vendor couldn't find it and refunded. 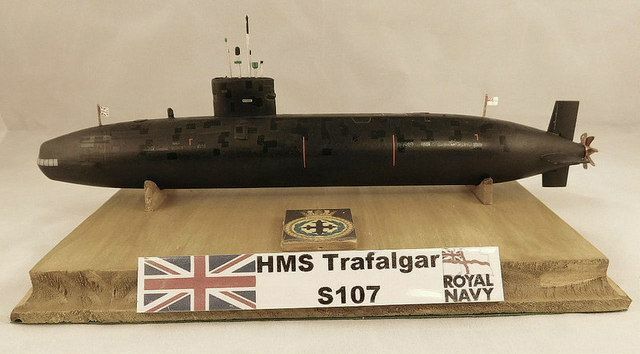 I will have to get one before it gets built, so at the moment, I'm still with the HMS Antelope.